This topic really hit home for me because I experienced it. For two years, I was super focused on my goal: losing 100 pounds. I ate, slept, drank losing weight. I wrote down ALL of my food. I worked out ALL the time. I stopped doing fun things like happy hour because I didn’t trust myself to make good choices yet. When I got closer to reaching that goal, I started getting nervous. The thoughts that occurred to me a lot were, “What happens when I reach goal?” and “What will my new goal be?” I reached my goal–and surpassed it by 10 pounds. I was sooo happy! I really was. But that happiness was a little short lived because I wasn’t sure what to do now. I decided to make myself a new goal. 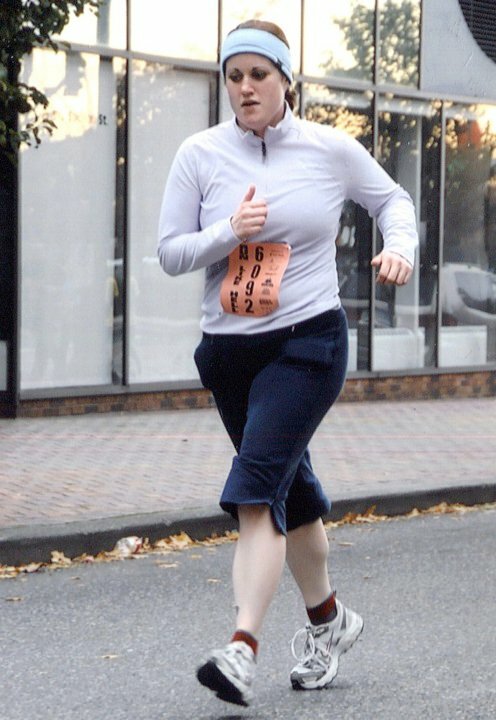 I’d start running and train for a 5K race. I focused on that and it helped me stay on track. I had a new mission! It helped a lot. Like I posted yesterday, I gained some weight from medication I was taking. That has become one of my new goals. I want to get back to where I was before the medications (143 pounds). 1. Stop taking the medication and lose that weight. 2. Compete in Reach The Beach (55 mile bike ride). 3. 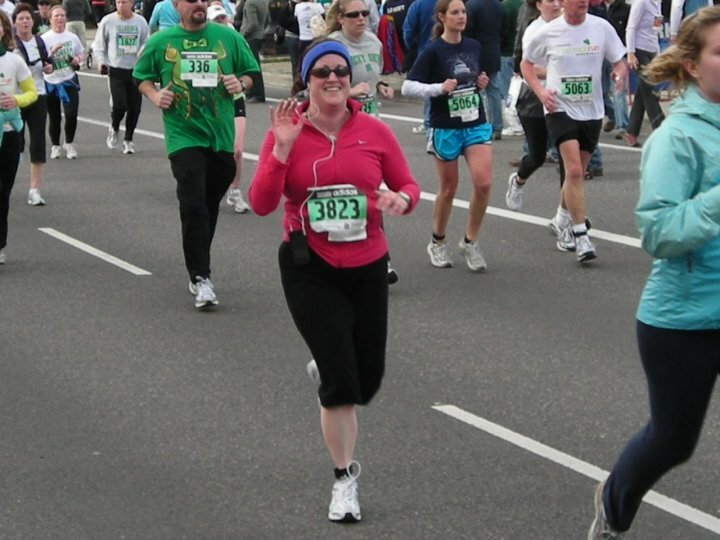 Train for Hood to Coast (running relay race this August). Having these SPECIFIC goals with DATES involved has kept me focused and determined to reach these goals. Something I learned losing 100+ pounds, was to make SMALLER, ACHIEVABLE goals instead of overwhelming goals. My first goal was to lose 50 pounds, my second was 75 pounds. My last goal was to reach the 100 pound mark. On another note…I had Scottish oats for breakfast. I have Trader Joe’s sugar free applesauce for a snack, leftover soup for lunch, and an apple for this afternoon. Pretty boring foods but I’m eating conservatively since we’re meeting friends for dinner tonight. I can’t wait to get in the pool after work! Much needed. QUESTION: Do you set specific goals for yourself? Or do you just go with the flow? And were you ever disappointed when you finally reached a goal? You are so inspiring! It’s wonderful that you lost all that weight in such a healthy way, both for the mind and body. I think small goals are definitely key because they get people to stick with a routine. Plus, it’s nice to view small steps as big accomplishments because they really are rewarding! oh…I am totally tweeting this post! this is a great post! i’m totally in a place where i’m trying to understand that the arrival fallacy is just that – a fallacy! i swear, i’ve had so many reminders of that this week…thank you so much for posting about it! Thanks for the comment on my blog hun! I LOVE this post! You have an incredible story. 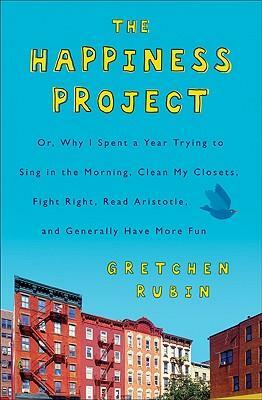 I want to read this book, because I often get caught up in wishing my life away – doing the “I’ll be happy when” thing. But I’ve noticed that the times I’ve been happiest have been completely unplanned and unexpected. I always set goals for myself, but I do often feel disappointed when I reach them because it’s the journey that makes me happy, not the destination :). this post really hit home for me!! I worry that if I go back to school and graduate as a physical therapist…what next? will I truly be happy with my choice, or am I fantasizing about what could be? First, what an accomplishment you’ve made. Congrats! Yes, this year I am setting more specific goals and writing about them too. What has bugged me about accomplishing goals in the past is that my behavior reverted back to “normal” shortly after the goal was reached. Much like you and your new 5K goal I’ve decided that successful people are always looking forward to what is next and continually moving the bar higher. It’s the journey not the destination. Keep up the good work, Lisa. I’ll have to pick up this book! It looks as if it parallels what I am trying to do this year (I call mine project 180°) which is basically turn in all around. That includes a 100 lb weight loss, but I’m only concentrating on 10 lbs at a time. It’s good to see it can be done! I love setting goals. It keeps me motivated working hard in every aspect of life. I even have relaxation goals because I don’t allow myself down time unless I schedule it!! Smaller goals are definitely better! Although sometimes I get so carried away planning and plotting that it takes me forever to get around to starting, lol. My HUGE goal was 212 pounds. I’m at 131 now… but I have been doing 50 lbs like you… so, I’m almost done with my 3rd 50, then on to the last 50, then from there. I also have mini goals thrown in… I’m approaching my “year anniversary” since I’ve started my weightloss journey on March 19th… so I’m trying for 150 lbs by then… that’s 19 from now… so little things like that… it keeps me focused and always gives me something to shoot for. I do much better with goals. I do better with goals to focus on as well. Congrats on approaching your “anniversary”! Pingback: Setting Goals | Primarily Bookkeeping, Inc.